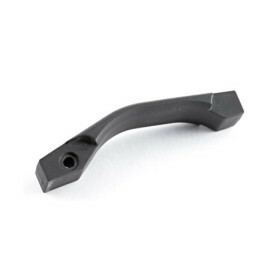 MOE® Trigger Guard, Polymer – AR15/M4 » Protective Solutions, Inc. The Magpul Original Equipment (MOE®) Trigger Guard is an enhanced polymer drop in replacement for the AR15/M4 weapons platform. It features a shallow "V" shape for better use of gloves in tactical shooting or cold weather operations. The MOE Trigger Guard is non-folding, has rounded edges, and fills the annoying "gap" at the rear of the standard trigger guard. Also works well with most 7.62x51 AR platforms but some custom fitting may be required. All mounting hardware included.